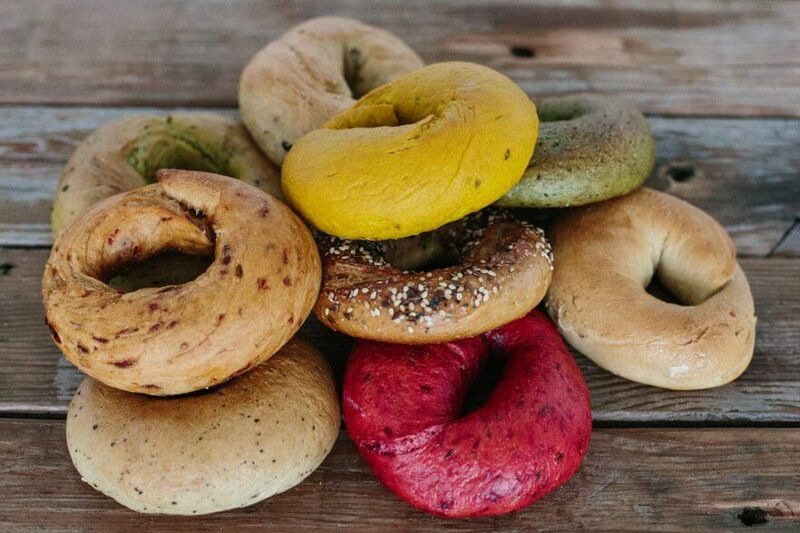 The tower of bagels offers different varieties of bagels from classical seeded bagel to the colourful beetroot and cumin; all their bagels are vegan and organic. They are hand rolled and left to rise slowly, then brought to life in a bagel kettle and finally baked for a crusty bite – to give you a classical bagel texture and taste to match. As well as offering the bagels for Regather veg-box customers you can also enjoy the bagel school workshops in regather kitchen on weekends.